Nowhere near so well known as the Smilodon cats, otherwise called as saber toothed tigers, was a predator almost twice the size of the largest of them, the short faced bear. The short faced bear was possibly the largest carnivorous mammal to have ever walked the Earth, and I can think of nothing more frightening for the early Asian immigrants that became known as the Native Americans to have come into contact with in their incipient stages of development in the Americas. Imagine crossing the Bering Straight in search of packs of herbivores to hunt and kill for food, for clothing, for ornamentation, and a thousand other things - only to walk head on into something weighing 1,800 pounds, and desiring the flesh of another mammal for food. This is the terror the short faced bear inflicted upon early humans in Northern America. There was no escape from this creature, or at least escapes were so few and far between that the survivors' stories were likely taken as tall tales. Even an armed band of immigrants would have surely suffered at least one casualty on every encounter with such a massive and deadly beast. Six foot tall at the shoulders - you stood no chance against a giant short faced bear. 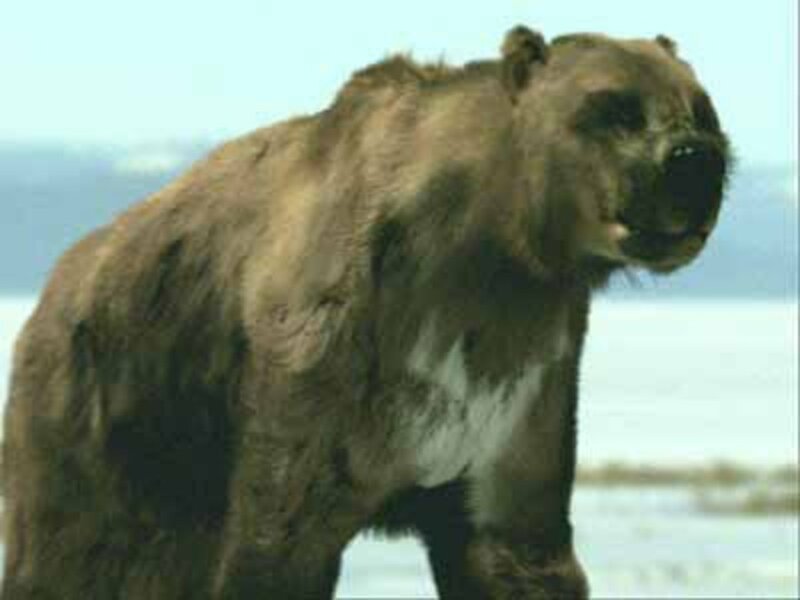 Now Arctodus is the genus for the short faced bears that lived in North America, and there were two species of Arctodus which we shall present here. Arctodus simus is the larger of the two short faced bears, and it is sometimes referred to as the giant short faced bear, and it truly was a giant indeed. Arctodus pristinus was no small bear, but it was a smaller version of the short faced bear, and is sometimes referred to as the lesser short faced bear, luckily, none of these are around to feel slighted for having been slighted with words. Short faced bears are also sometimes referred to as bulldog bears for their facial appearance, and in fact, the face of these bears is very noteworthy. Look closely at the picture above and you should see a skull and face that look more like that of a lion than a modern bear - modern bears have a much more identifiable or pronounced forehead - but that hardly ends the differences between the short faced bears of the Pleistocene era and modern brown or black bears. Short faced bears were very much the taller than modern bears. It could be said that modern bears are built more powerfully, or sturdily, and that would seem appropriate, but modern bears did not have the abilities of creatures such as the giant short faced bear, which could run at speeds of up to sixty miles per hour. The giant short faced bear had much longer legs, and so it stood much taller, and could run much faster, but it was also built lighter than say, a Kodiak Bear, a grizzly bear, or a polar bear. How big was the giant short faced bear? Well, the males stood about six feet high at the shoulder, but of course they could stand up on their back legs, and were they to do so, they could place a basketball inside the hoop without any challenge at all....then they could just stand there, and knock the whole thing down if they decided to. 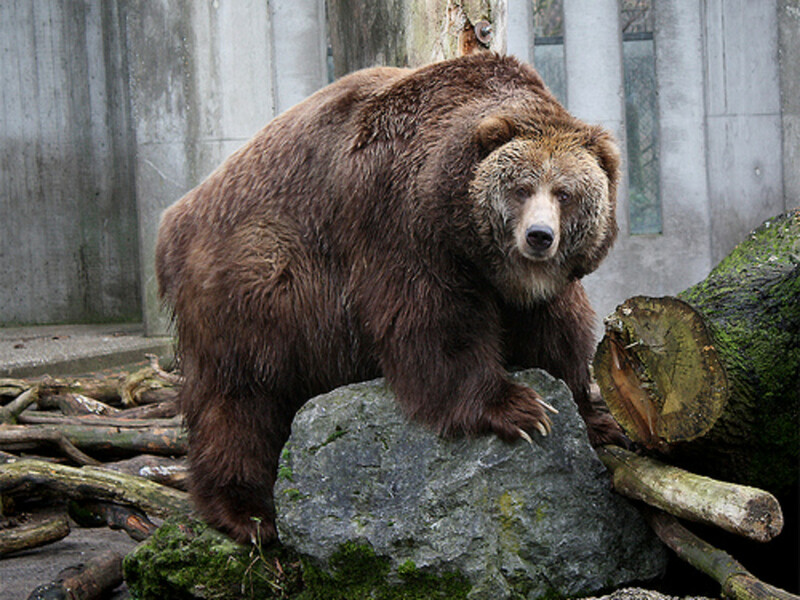 All species of bear currently living display a pronounced degree of sexual dimorphism, and all that means is that the sexes are of differing sizes. 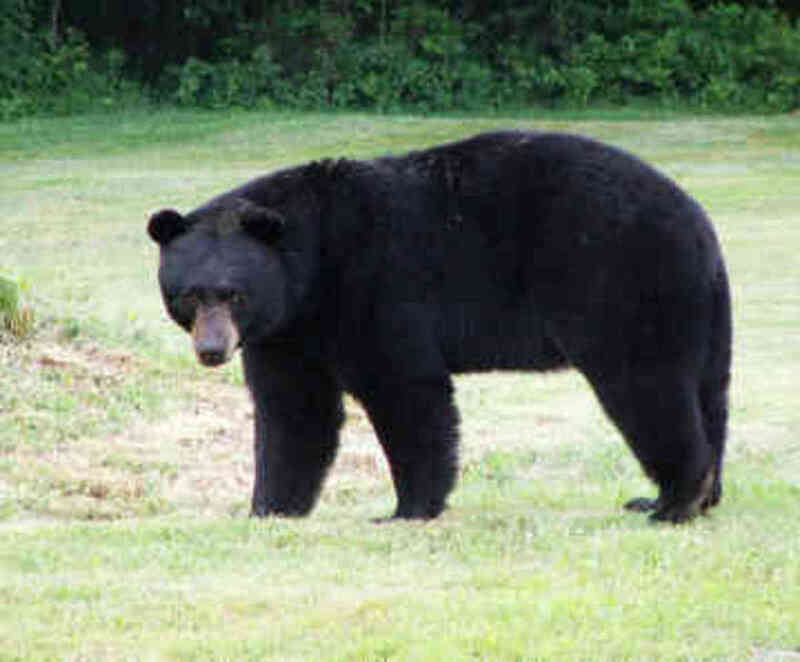 The short faced bears were not any different from modern bears in this regard, and the males were typically about twenty percent larger than the females. The male giant short faced bear was estimated to have averaged a weight of about one thousand and eight hundred pounds - far larger than any currently living species of bear, but even the giant short faced bear was not the largest species of bear to have ever lived, be patient and stay with me - we'll get to that, there was an even larger short faced bear than the Arctodus simus, but that larger bear was found in South America, and what is known about it is even less than the little known about the short faced bears. 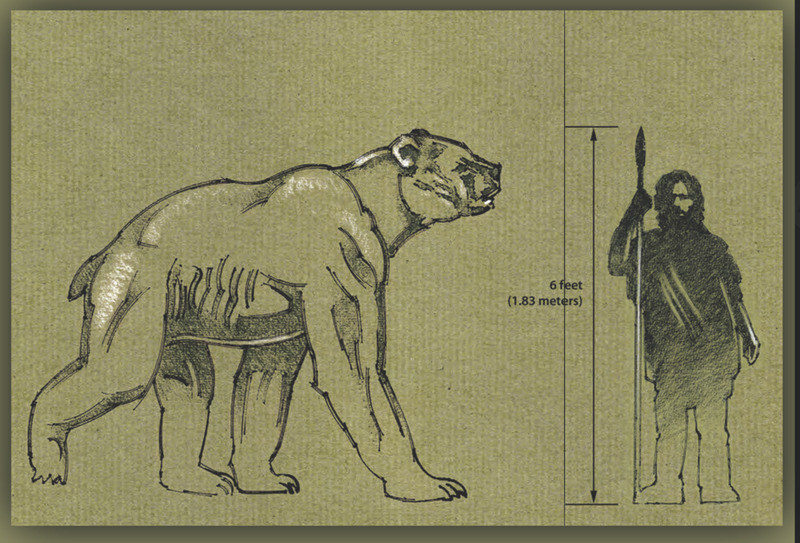 Arctodus pristinus, the lesser short faced bear was very similar but smaller than the giant short faced bear, and was very much the closer in size to a modern grizzly bear, polar bear, or Eurasian brown bear, but it was, of course, built like the Arctodus simus, but only on a smaller scale. The lesser short faced bear weighed in at about eleven hundred pounds in adult male specimens. Now for some of the obligatory controversy always inherent in evolutionary biology: It isn't much known for any degree of certainty whether or not both North American species of short faced bear coincided together in time, or whether or not the lesser short faced bears descended from the giant short faced bears. It just isn't known. There are more unknowns in evolutionary biology than there are known facts, and this isn't likely to change, as we steadily uncover more unique species of extinct creature - without having any sort of evolutionary chain of event in the form of a fossil record with which to back up any kind of "family tree." Just as we saw with the three species of Smilodon cats, the ones that had crossed into South America via the Great American Interchange evolved to be larger than the species from North America that they'd evolved from. With the Smilodon cats, the larger South American cat was still of the same genus as the smaller North American cats, but with Arctotherium angustidens the largest bears to have ever live, we have a bear that evolved significant traits so as to become its own genus, but are now completely extinct. Just how big was Arctotherium angustidens? Well, that is a matter of debate, but the humerus bone of the bear was roughly the same size as an African elephant. 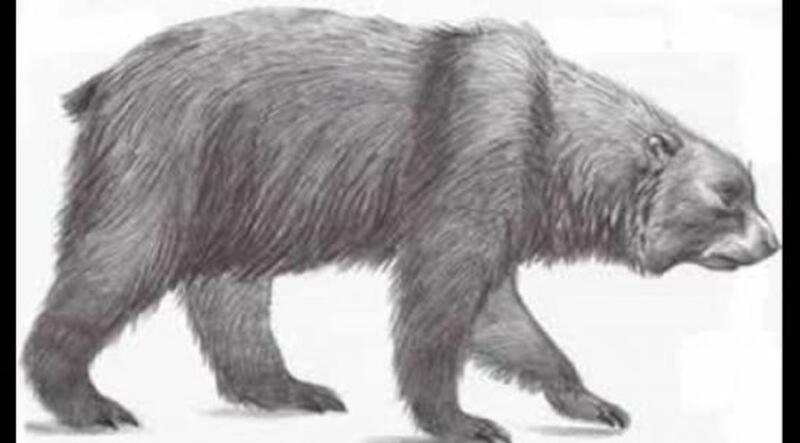 There aren't many specimens of this bear available for study, but according BioOne Journal of Paleontology it was far and away the largest bear to have ever lived. Estimates for weight range from three thousand five hundred pounds, on up to five thousand pounds. As with all bear specimens within a species, the size is always increased when the bear has the opportunity to indulge in a mostly carnivorous diet, and the abundance of herbivores in South America certainly allowed for a protein rich diet for this species. 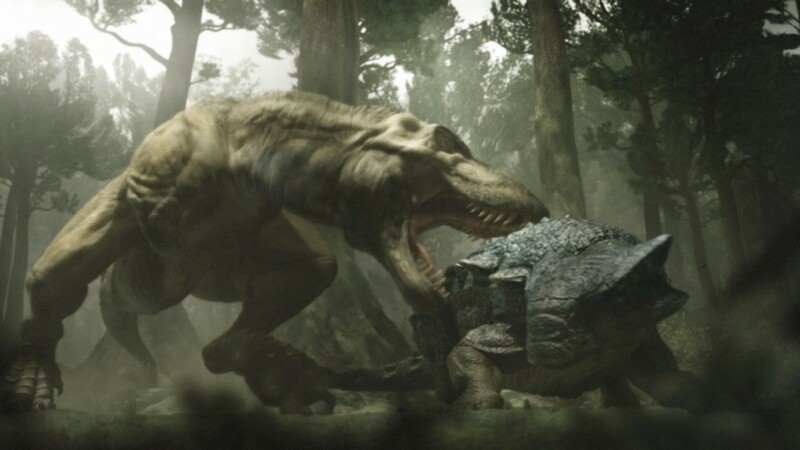 It is rather easy to see that such a large predator would not even fear the Smilodon populator of South America, and very likely these Arctotherium bears would simply steal the kills of the saber toothed cats, Dire wolves, and any other predator - just as the brown bears of this day steal the kills of wolves and cougars. 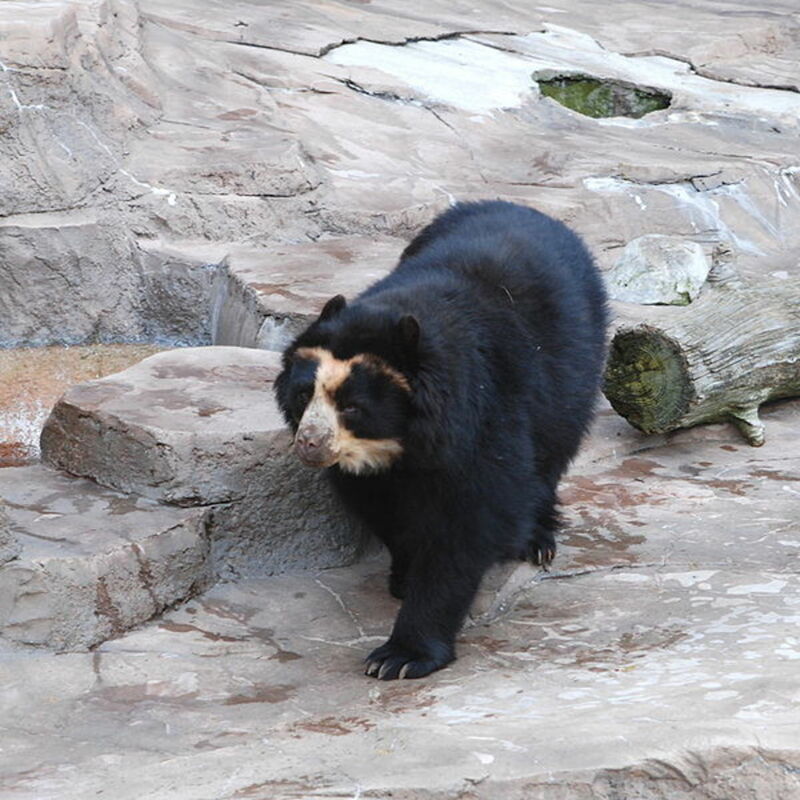 Lastly, we have the spectacled bear, the only living species of short faced bear. In the not too distant past there was also a Florida short faced bear, but those are extinct now, but were close relatives of the spectacled bears of South America, which are also known as the Andean bear. The spectacled bear is a highly herbivorous species of bear that gets up to around four hundred pounds in the males, and is thought to only still be living today due to its ability to climb even the highest trees, and then build blinds in the trees to prevent anyone from seeing them. Very different indeed from the demeanor of the forefathers of this, the last of the short faced bears. Learn About Megafauna With Amazon.com! Thank you, Loreva13! Yes, I'm pretty well scared of the one out there today too! I do admire them too. Very researched and informative hub! Great work for education purposes. If they were still around today I'd sure hate to run into one in the woods. I'd imagine quite a few of the first Asians to cross over into North America were killed by those things...what monsters! Compared to lots of men, I could be described as the "lesser short fused white boy!" 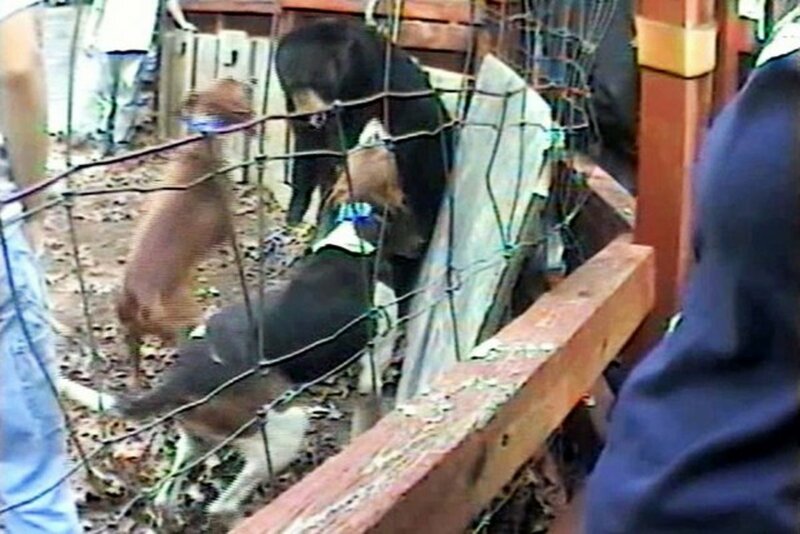 I'm pretty sure I couldn't "bear it" if I ran up against one of those guys! Of course, at less than 100 lb., I guess I'd be considered, what, a lesser long-faced redhead? Before my nose job, anyway. This is really good. I know that even seeing a 300 lb. black bear up close, just walking along and minding its own business, was enough to convince me of its power with every step it took. I honestly can't imagine six times that much bear giving me the once-over. Voted Up and a Lot. I guess I like bears too, I keep publishing things about them, and I always wind up finding out about more of them that I'd never heard of!!!!! I think the best we can do is try to save the world that exists now....it's rather up in the air now, so to speak. Heck Yeah, Willie! 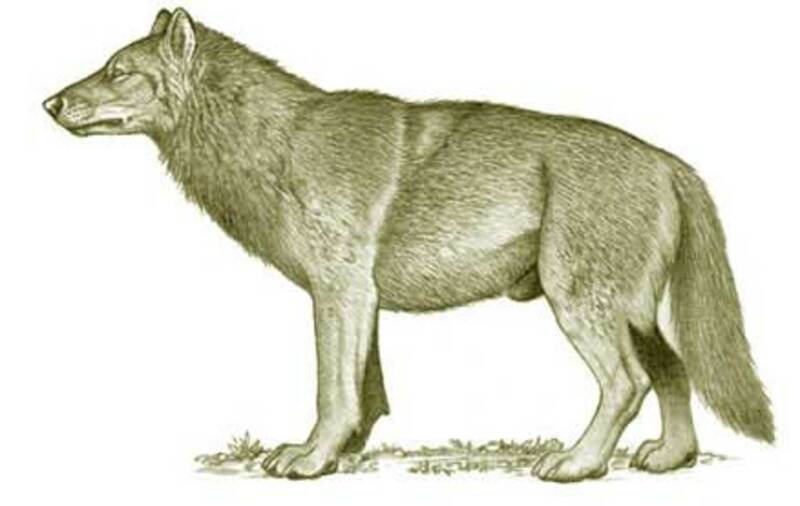 You'd need you a Dire Wolfdog for hunting! Oh bears had best be respected - it's the only way to not get eaten by them, and with all the respect in the world for them, one must still avoid them....especially the females with cubs! That cat-like face really seems out of place on the bear body. Enjoyed the article. I'd never heard of them before, although it would have been frightening to run into one of the giant ones, I'm sorry they aren't around anymore, they look like amazing creatures. Great Hub again Wesman. The short faced bear has got to be the scariest mammal of all time, apart from a few humans that I know hahaha! Seriously this is outstanding, I genuinely didn't know there were several species of short faced bear. Its so cool to think that at least one of the short faced bears managed to survive. Voted up and shared. Hey wes......It stretches the imagination to think of a creature this mammoth. "Fear," is an understatement. This might have a whole lot to do with incredible respect Native Americans give the BEAR.....and why Northern U.S. & Canadian Native Americans had groups of warriors chosen from the Bear Clan.